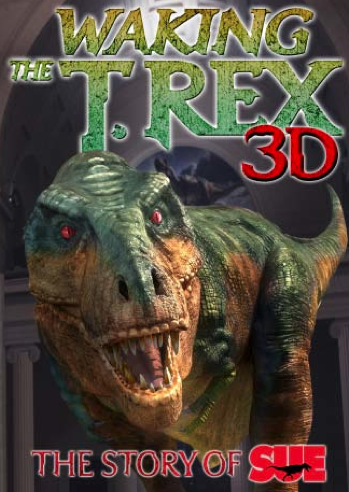 In an exciting 3D film experience, discover the T. rex named SUE like you never have before. Dare to come face-to-face with this roaring, earthshaking, and breathtaking predator in “Waking the T. rex 3D: The Story of SUE,” premiering at The Field Museum. No dinosaur in the world compares to SUE—the largest, most complete, and best-preserved Tyrannosaurus rex ever discovered. 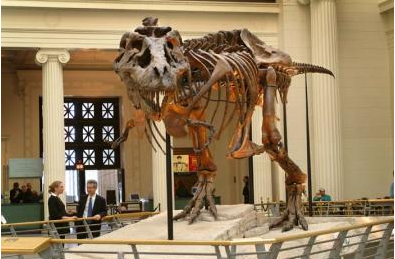 In May of 2000, the unveiling of her 67-million-year-old skeleton at The Field Museum made global headlines. Since then, more than 16 million visitors have marveled over Chicago’s prehistoric giant. Come learn more about SUE and the scientific insights she’s providing about the world in which she lived, only at The Field Museum. How did life on Earth evolve? Explore the awe-inspiring process—and the science that reveals it—in a spectacular journey through four billion years of life on Earth. 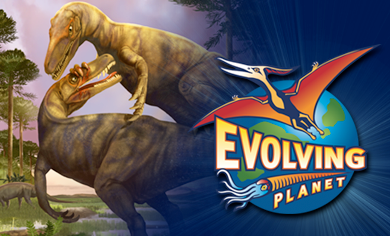 Unique fossils, animated videos, hands-on interactive displays, and recreated sea- and landscapes help tell the compelling story of our Evolving Planet. Be sure to catch the display of fantastic Green River fossils found by Dr. Grande! Discover how scientists prepare ancient specimens for study and watch over the shoulders of experts at work as they excavate hidden treasures in the McDonald’s Fossil Prep Lab. Marvel at the beauty and splendor of gemstones in The Field Museum’s newly renovated Grainger Hall of Gems, curated by Dr. Lance Grande. Explore the natural beauty of Earth’s gems and witness their magical transformation from rough specimens, to stunning stones, to spectacular jewelry. Exquisite rare jewels and gold objects from around the world, as well as never-before-seen creations from top designers, await you in the most comprehensive exhibition of its kind between the east and west coasts.